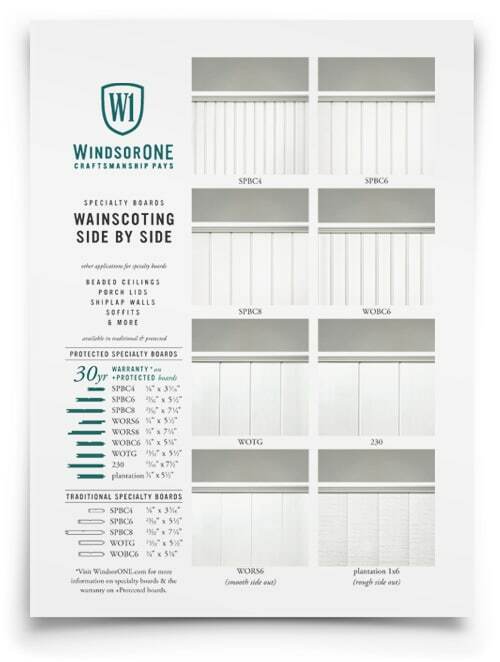 WindsorONE Nickel Gap Boards are perfect for when you really want people to stop and take notice. Similar to our Shiplap boards, there are some key differences. THESE BOARDS HAVE A CONSISTENT 3/16" "NICKEL GAP": It's a sized up Nickel Gap reveal (aka 51¢ gap), that will read clearly from across the room or on high ceilings. These boards are only available in Traditional. (If you're looking for Protected Shiplap boards, click here). 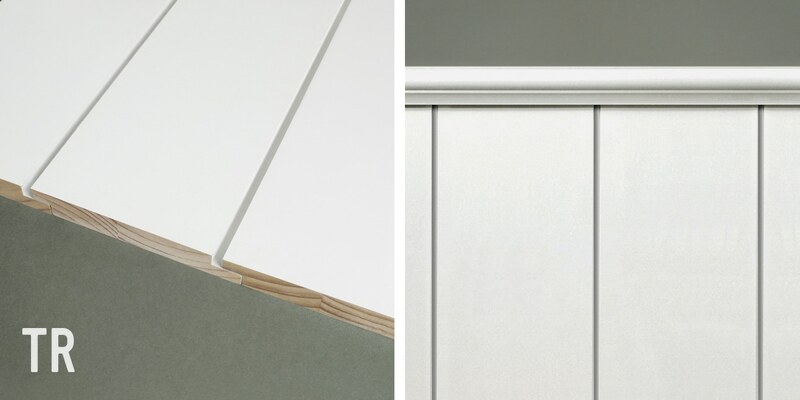 SHIPLAP: Choose your own reveal, Reversible/ Smooth or Rough-Sawn, Protected with a 30yr Warranty. 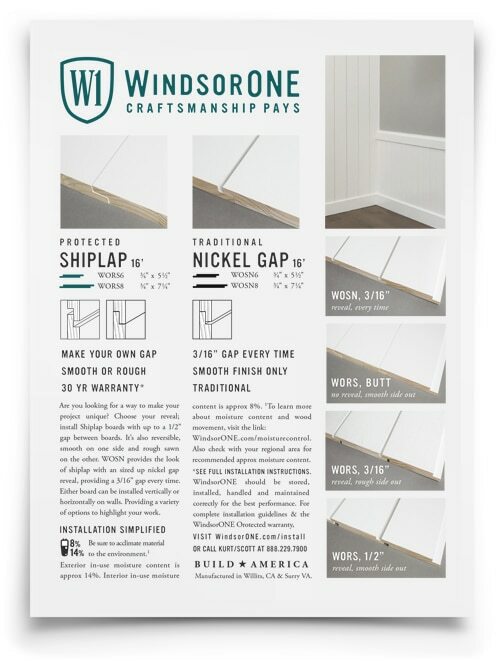 Info on Shiplap & Nickel Gap; Similar but different. 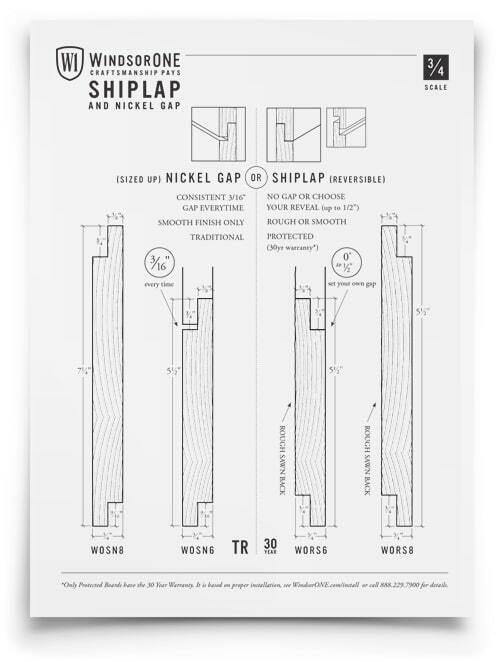 Detailed dimensioned drawings comparing Nickel Gap & Shiplap boards. 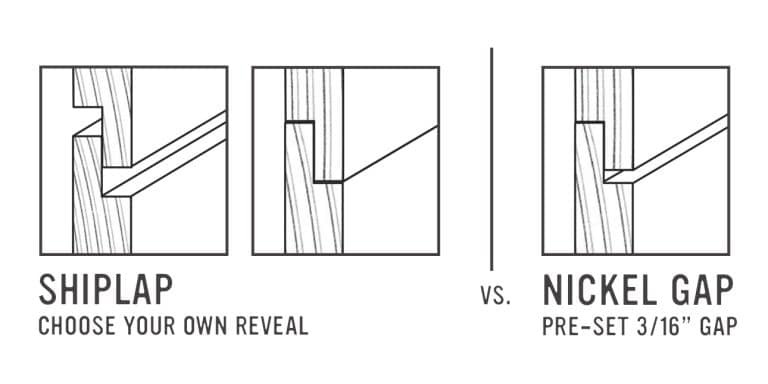 Side by side comparison of wainscoting styles. 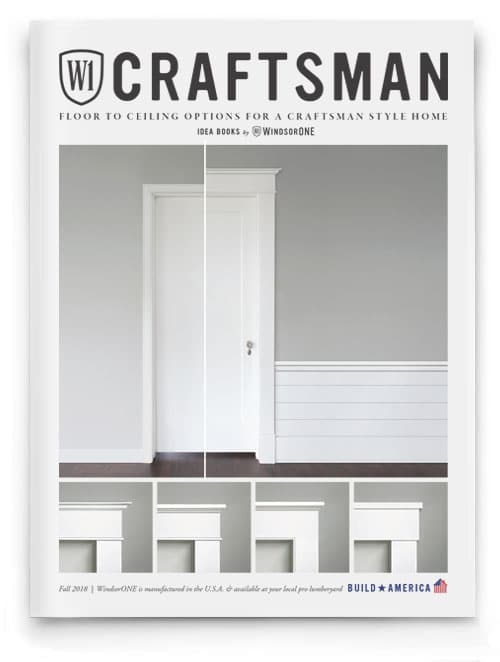 An idea book with 4 Craftsman options for the interior. 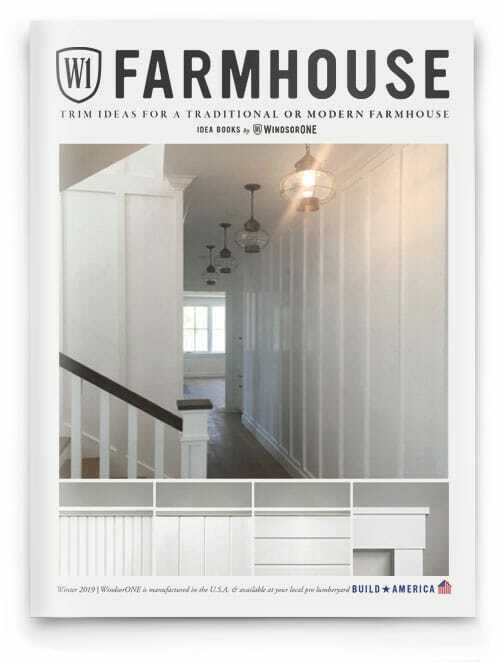 An idea book and style guide filled with modern & traditional farmhouse ideas. Request a sample and see how craftsmanship pays!